Imagine these two scenarios for a moment. Scenario 1: You’re having your Tarot cards read in an open booth at a busy festival where people keep interrupting your reader to make a booking and you can barely hear the reader over the noisy music from the Zumba demonstration on a stage nearby. Scenario 2: You’re having your Tarot cards read in a quiet room with the door closed, with a cup of herbal tea, soft music and an attentive reader who tunes into your energy all throughout the reading. Which would you prefer? I know which one I would choose (and which one would make me never return!). You see, the space in which you conduct your Tarot readings is incredibly important. 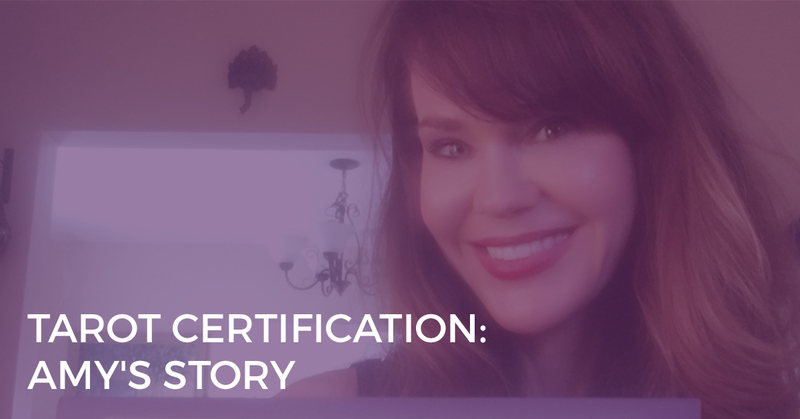 It is what creates trust between you and your client and allows the energy to flow freely throughout the reading for in-depth insights and transformation. It supports the needs of both clients and readers. Get the space wrong and you risk losing trust, losing credibility, and worse, losing clients. This extends beyond client readings as well. It’s just as important to set up a sacred space when you read for yourself. Grabbing your deck in the middle of making the kids breakfast, giving them a quick shuffle and throwing down three cards while you flip pancakes, is the equivalent of reading at a booth next to a Zumba stage. We’ve all done it, and it most often leads to confusion and re-drawing cards because we don’t like what we’re seeing. 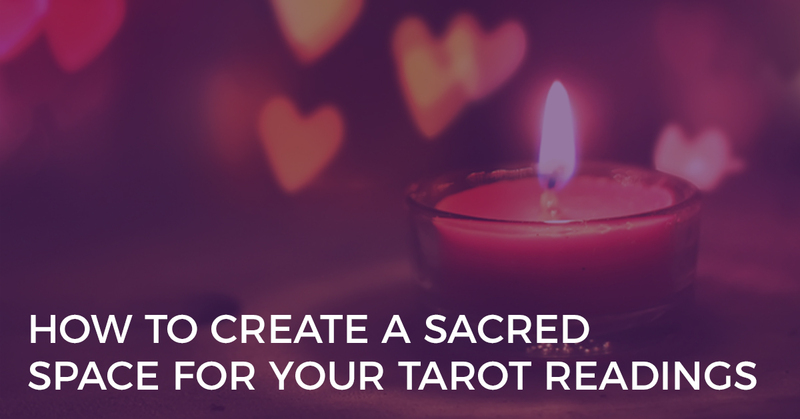 Sacred space and sacred ritual brings a beautiful depth and energy to your readings. It’s also a great way to read consistently, as you start to really look forward to this special time! 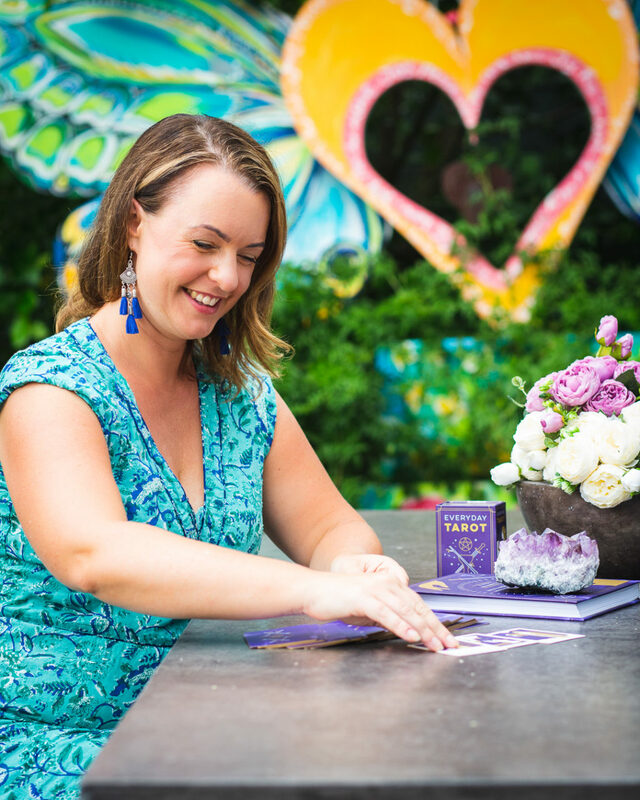 So how do you create a sacred space for your Tarot readings? Let’s dive into each of these and I’ll share with you how you can create a sacred space within each one. The physical space represents the tangible environment – the room, seating arrangements, the place where you lay out the cards, and so on. Make sure you create a private and ‘safe’ environment by closing the door or putting up a ‘do not disturb’ sign so that you will not be interrupted halfway through a reading (yes, even a reading for yourself!). Sure, you can read Tarot in a more open, public place (I have known people to read Tarot in airports, libraries, cafes and parks). But make sure that you still have some level of privacy. I love to do my personal readings out in nature (a sacred space in itself). Often, I’ll just pull together a few crystals that are calling to me that day, go into the garden to pick some flowers or find interesting things on the ground and have those with me for the reading. I allow myself to be guided by what feels good on the day, creating my sacred space without an elaborate fanfare. What’s most important is that you choose a place where both you and your client feel safe. For some, that may mean not reading at home – I know I don’t feel comfortable having face-to-face clients at my home. For others, it might mean reading Tarot anywhere! In your sacred Tarot reading space, you may also like to decorate it with candles, crystals, pictures and beautiful fabrics. However, don’t feel obliged to do this if it’s not your personal style. 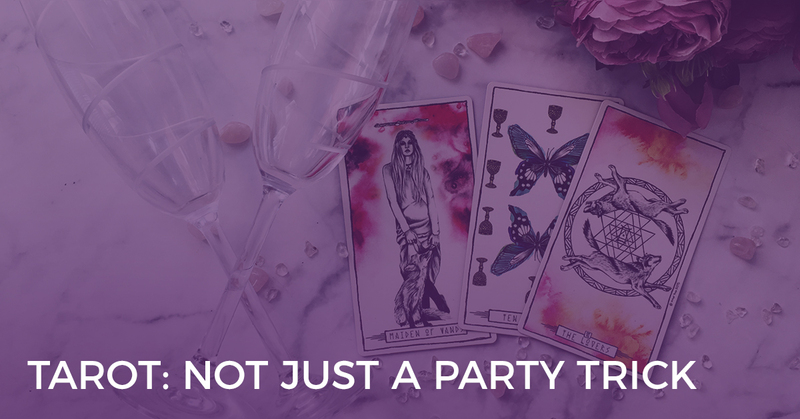 Personally, I like to keep it simple – I have my Tarot cards, crystals and laptop – and that’s about it! And remember, tidy desk, tidy mind. Clear away any clutter where you’re doing your Tarot readings and only have what is absolutely necessary and honours the sacred space. A sacred mental space is one where you (and your client) are bringing a clear and focused mind to your Tarot reading. It’s about letting go of any extraneous issues that may be occupying your thoughts, like shopping lists, an angry conversation or picking up the kids in 2 hours. I always like to start a Tarot reading with a few deep breaths to centre myself and bring my focus to the Tarot reading at hand. I also ask my client to be very clear, before we start the reading, about their question and situation (for email readings, this is through the request form). When reading for yourself, treat yourself as the client, and ensure you are clear on your question and situation when addressing the cards. When I have the time, I’ll do my fifteen minute Confidence Booster Meditation prior to reading for myself or others. This meditation really helps to centre me and clear my mind before any reading. If you are reading face-to-face, you may like to have your client take a few deep breaths with you. And if they seem particularly agitated or distracted, ask them to write down what’s on their mind for a couple of minutes then place it in a box nearby. Reaffirm that those thoughts are ‘parked’ for now. Finally, to bring about focus, I love to play meditation music, especially with binaural beats. It will help to calm the mind and increase your focus and concentration on the reading. 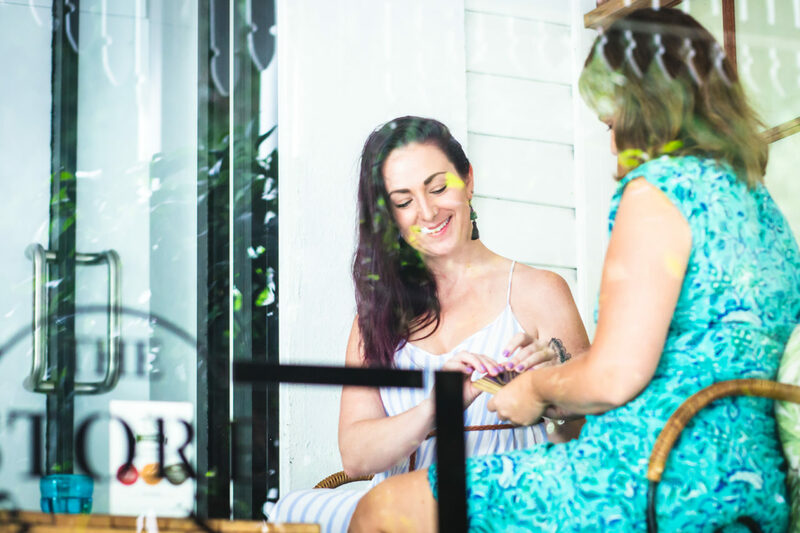 A sacred emotional space is one where you and your client are coming into a Tarot reading, feeling safe and free of any negative thought or baggage. Breath work is again very useful for creating a sacred emotional space. Focus this time on using the inhalation to capture any negative feeling and the exhalation to breathe out love, compassion and harmony. And finally, build rapport with your client before you begin a reading in order to create a trusting relationship. I often start a reading with a casual conversation or asking whether they’ve had a Tarot reading before. It helps to break the ice and let the client you’re a regular, everyday person who’s here to help. A sacred spiritual space brings a special energy to your Tarot readings and will help you to connect with the Universe and your intuition during a reading. Again, you can set up your physical space with objects that have spiritual significance. Or you can create your very own ‘altar’ near to where you perform your readings. You may also like to clear your chakras before a Tarot reading to connect deeply with your spiritual self. Chakras represent our energy centres in the body and clearing and opening each of these prior to a Tarot reading can assist in creating a very deep and insightful reading. 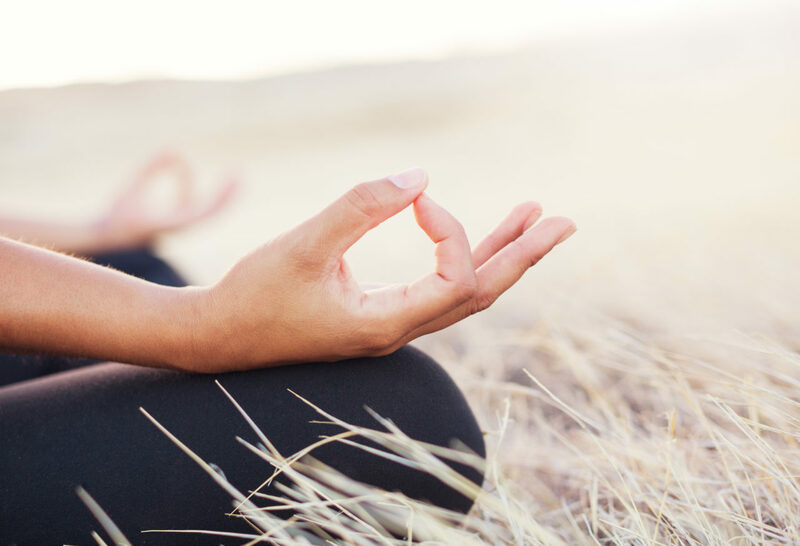 I personally use Deepak Chopra’s “Chakra Balancing” which includes a guided meditation for clearing each chakra and beautiful meditation music. 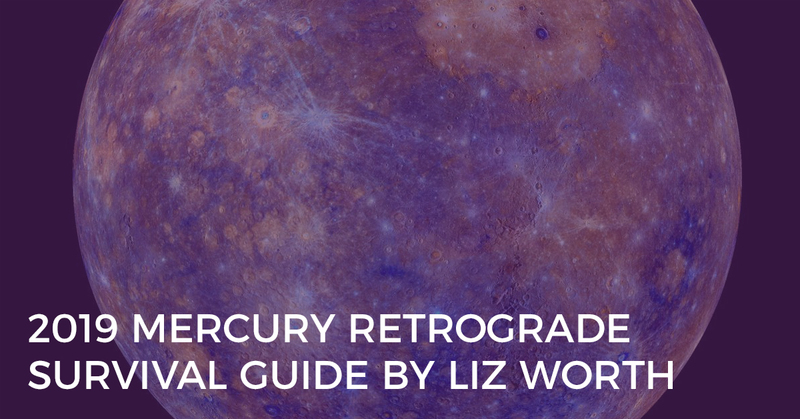 If you’re not sure how to centre and ground yourself before your readings (for yourself or others), or you’d like a little confidence boost for your reading, give my guided meditation a try! You can download it here for free.